Apartamentos Bahía Santa Eulalia – this has a large selection of excellent apartments. All apartments have fully fitted kitchens and separate living rooms. Apartamentos Bon LLoc, like above these apartments have all the facilities you need for self-catering in Santa Eulalia. 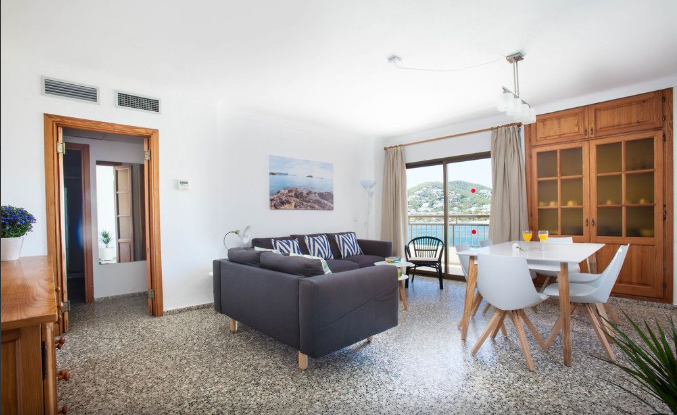 Apartamentos Niko – A good selection of 3 bed apartment close to Santa Eulalia centre. Book early as these apartments get booked out very quickly as they are prices well. Apartamentos Niko – Alos has some 4 bed apartments for families. Check availability now. An enchanting little town with beaches throbbing with the sounds of a ukulele and picture perfect views which inspire the poet in you- Santa Eulalia is a quaint cocoon in the tourist hub of Ibiza. While you can have the greatest clubbing experience in your life in Ibiza Town, Santa Eulalia is where you come to rewind, refresh and restart. With locals regaling you with the adventures of their ancestors as you soak in the salty breeze that surrounds you, there is no better place on Earth to gulp in life like never before. A mere 21 kilometers from the airport, this coastal town is the third largest in the island of Ibiza. It is also home to the only river on the island, Riu de Santa Eulalia. Throughout the year, unless there’s been some rainfall, it resembles closer to a stream; sparkling clean and one of its kind. The river meanders across town to finally meet the sea at the southern beach of the town. Santa Eulalia itself sits in the midst of great beauty. For starters, it is right next to the rocky Punta Arabi, the famed Hippy Market of Ibiza. 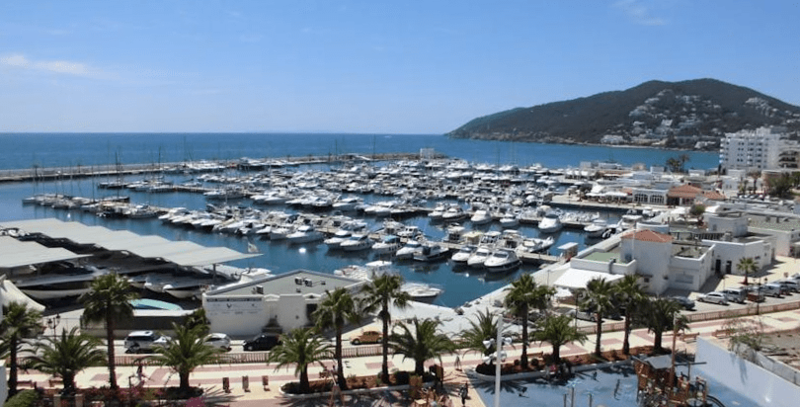 At its eastern end, you’ve got the Port Esportiu, a relatively new harbour, which is already abound with shops, clubs and restaurants to make any tourist’s dream come true. As you move to the west, behold the glorious hill of Puig D’en Fita. Peppered with sprawling apartments and luxurious private housing, this low lying hill springs to life at night with glimmering lights. The beaches in Santa Eulalia are Ibiza’s finest. There are two beaches- Santa Eulalia Beach and Mariner’s Beach. With sandy shores overlooking the pristine waters, both of these are in great condition- cloistered cleanly at the heart of the town. To get to Santa Eulalia Beach, simply get off at the centre of the town and you will find yourself overlooking one of the most beautiful beaches you’ve ever laid your eyes on- the purest blue splashing against the white of the sand. Mariner’s Beach is where the only river of the Balearics flows into the sea; another gem in the town of Santa Eulalia. Located in the south side, you can easily make it to Mariner’s on foot or a bicycle, if you are feeling particularly chipper. There’s always cars and the town bus too. Once you’ve reached, bask in the quiet solitude of this beautiful beach. If you can manage to tear yourself away from the vision, you will find that there are plenty of activities for you to enjoy in the beaches of Santa Eulalia. Ride the waves in a pedalo or banana boat or maybe go sailing for a hearty swig of the atmosphere. For the braver of heart, water skiing in Santa Eulalia is as fun as it gets. You can also choose to lounge by the sea, sipping on a chilled drink, underneath a bright parasol. The promenades lining the beaches of Santa Eulalia are truly picturesque. Stretching to as far as you can see, who knows what you might find as you stroll through it. Soaring palm trees fringe the promenades while miniature gardens with fountains spring every now and then. If you are in Santa Eulalia, you are in the most self-contained town of Ibiza. With its quiet beaches, bustling markets, a vibrant nightlife and plenty of sights to never tire of- you will hardly feel the need to venture out of here. Hop on the morning Santa Eulalia Tourist Train for a 3-hour tour of the town. As the train takes you past the more common attractions, you will find some well-hidden gems, part of the longstanding history of the municipality. Don’t forget to take as many pictures as you can; these are a lifetime of memories to treasure! In case you are taking a ferry journey from Ibiza to Santa Eulalia, make a quick stop at the nearby island of Formentera. Especially in the summertime, the glistening stretches of sand with dunes and pine trees dotted across is a sight you wouldn’t want to miss. As soon as you drive into town, you will notice a beautiful fortified church atop a hill, surrounded by hedges and looming Ibizan villas. This work of art, Puig de Missa, dates all the way back to the 16th century and its chalk white walls and low domes make it impossible to miss. The gentle walk up the hill is completely worth it; the unending panorama, beautifully tended atmosphere and a soaring Mass is just the serenity you have been yearning for. In your peaceful strolls on the promenade, you will find an abundance of eateries and cafes, delightful in laughter and variety to always pull you in. Authentic Ibizan dishes or culinary styles from anywhere in the world- Santa Eulalia has got it all. For food you can’t get enough of, head over to Calle San Vicente, renowned in town as the Street of Restaurants. A scene straight out of a Mediterranean dream, quaint tables and chairs line the streets as conversation flows freely while street musicians play their tunes. 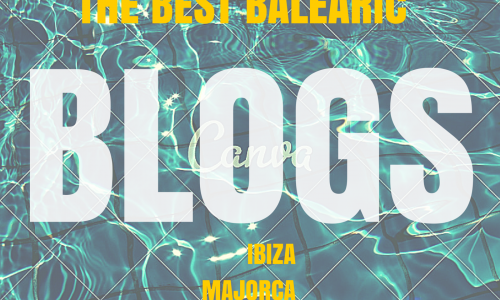 There are a few restaurants which you absolutely must visit during your time in Santa Eulalia. El Naranjo, for instance, serves delectable Mexican cuisine in a gorgeous orange tree veranda. And if you’re craving curry, Cardamom Café is a hot spot for some spicy flavors. Besides, there are always numerous beach bars for you to stop by. Café Insula, in Mariner’s Beach, is a favorite of tourists and locals alike. Authentically Spanish, their specials never fail to delight.